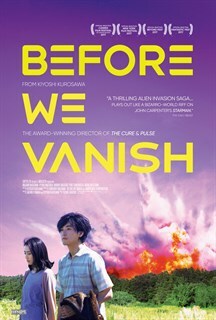 Three aliens travel to Earth on a reconnaissance mission in preparation for a mass invasion. 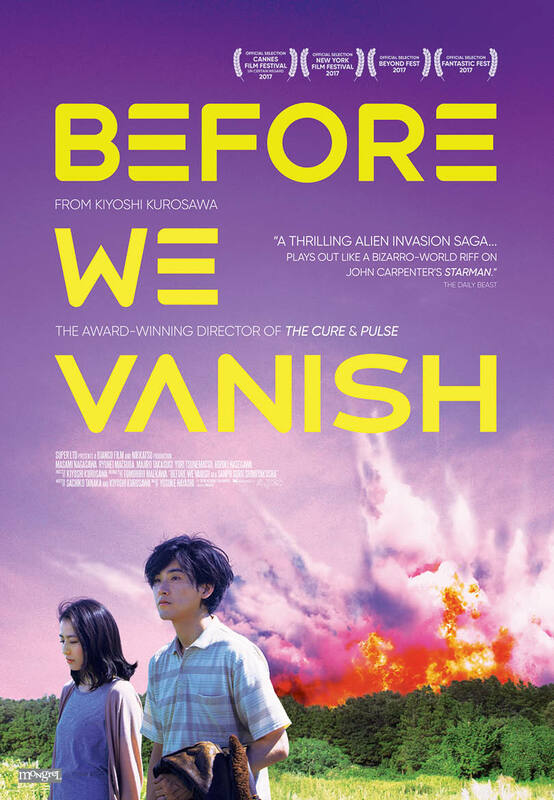 Having taken possession of human bodies, the visitors rob their hosts of the very essence of their being - all sense of good, evil, property, family, belonging - leaving psychological and spiritual devastation in their wake. 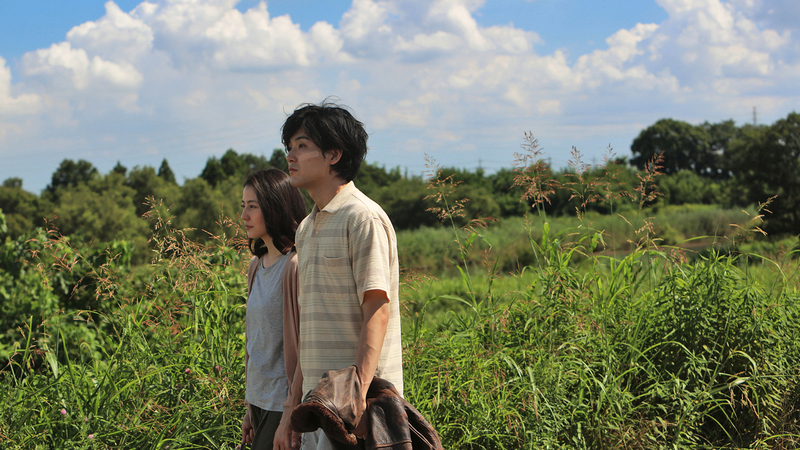 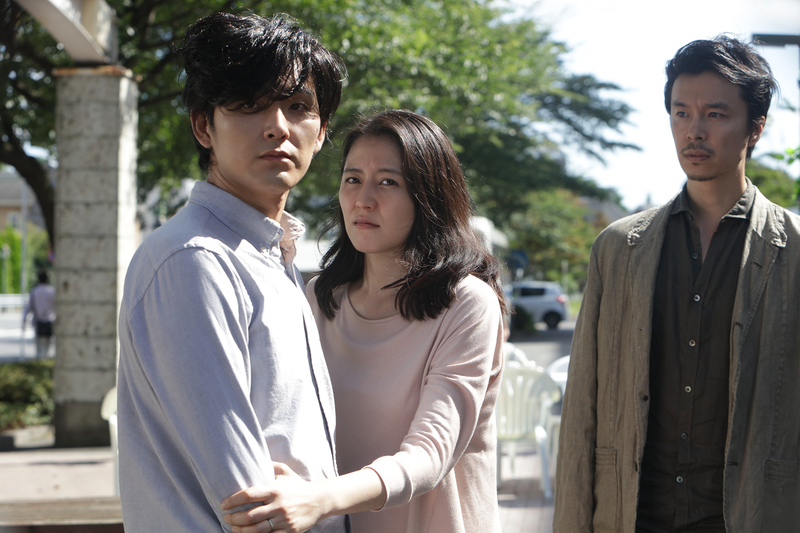 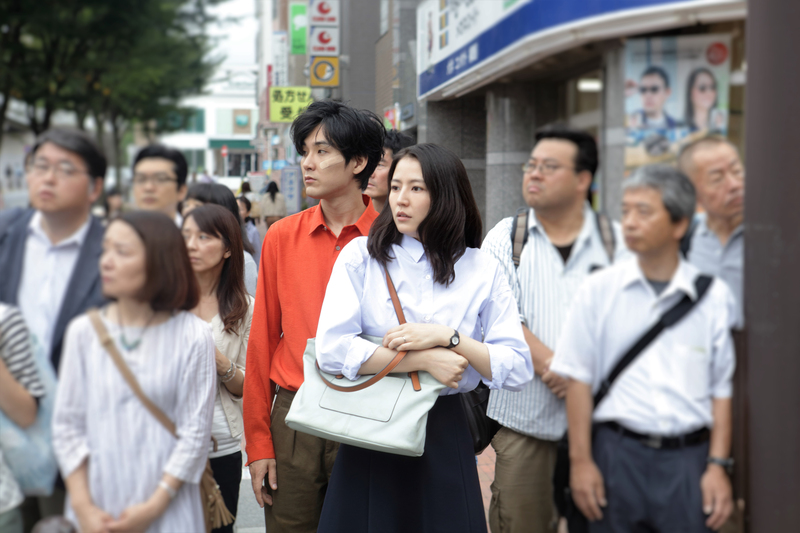 Shinji Kase (Ryûhei Matsuda) and Narumi Kase (Masami Nagasawa) in Kiyoshi Kurosawa's BEFORE WE VANISH, courtesy of Super LTD.
Narumi Kase (Masami Nagasawa) and Shinji Kase (Ryûhei Matsuda) in Kiyoshi Kurosawa's BEFORE WE VANISH, courtesy of Super LTD.
Shinji Kase (Ryûhei Matsuda), Narumi Kase (Masami Nagasawa) and Sakurai (Hiroki Hasegawa) in Kiyoshi Kurosawa's BEFORE WE VANISH, courtesy of Super LTD.